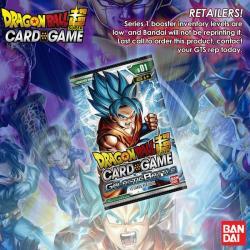 Dragonball Super Series 1 booster: inventory is running low and Bandai will not be reprinting this! Once it's gone it's gone forever, so order now while you still can! When it's gone it's gone, order NOW!